Look Your Best Anytime, AnywhereShave any beard quickly and cleanly at home, on-the-go or anywhere with dual, independently floating stainless-steel blades, each precision honed to a super-sharp 60° angle for optimal durability and results. 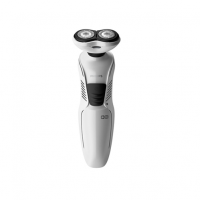 Shave Closer, More ComfortablyAs you shave, smooth, polished stainless-steel blades and micro-thin foil instantly adjust to nimbly follow the unique, individual contours of the face, neck and jaw for incredible closeness and comfort. Safe on Sensitive SkinEven on the most sensitive skin types, the stainless-steel, hypoallergenic blades and foils ensure safe, gentle and non-irritating shaving. 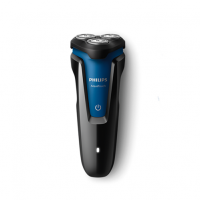 Power, Speed and PerformanceSpecially designed for optimum shaving on all beard densities — thick, moderate or fine — the ES4815 is driven by a durable, high-performance 8200-rpm motor to deliver fast, evenly distributed power. 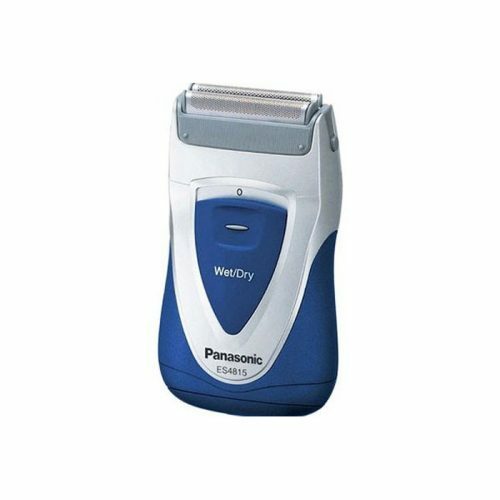 100% Washable, Wet/Dry VersatileThis versatile, shaver is ideal for close, convenient shaving dry over the sink or on the go when time is tight, or in the bath or shower with or without foam or gel. Maintenance is quick and easy, too. 100% washable, just hold the shaver under warm, running water for quick, thorough rinsing. Designed for Mobility and ControlThe shaver’s sure-grip, ergonomic profile fits comfortably in either hand for maximum comfort and control. For easy mobility, its slim, cordless, lightweight design slips neatly into any bag, briefcase or luggage, and a handy travel pouch is included. 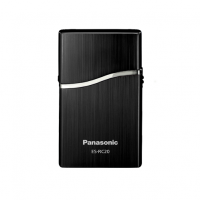 A travel lock feature ensures the shaver does not unintentionally power on while in storage or during travel. 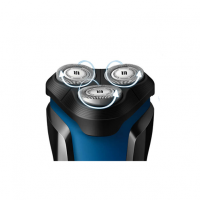 Battery Powered for On-the-Go ConvenienceThe shaver is powered by two AA batteries (not included) for shaving anywhere, anytime. Keep a Close ShaveReplace shaver blades and foils once a year* to ensure optimal shaver performance and a close, comfortable shave experience.